Coming soon, the pre-construction South Surrey Kallisto townhomes for sale will feature only seventy three boutique stylish townhouses in the South Surrey real estate market’s vibrant Grandview neighbourhood that is great for families and couples. The new South Surrey Kallisto townhomes will be located at 3009, 156 Street and the show homes are excepted to open this spring 2010 with a fully furnished suite. For more information or to priority register for more details regarding the pre-construction Surrey Kallisto townhomes, please visit www.kallistohomes.ca or call 604.538.8400 today. Coming soon to 3009 156 St South Surrey development is a 73 unit boutique Kallisto townhouse development by Lakewood Homes. The Grandview Surrey property market is booming, so make sure you don’t miss out on this new development that is set to launch shortly. As far as the siteplan is concerned, there will be clusters of South Surrey townhomes within the secure and quiet community of Kallisto Surrey with most clusters ranging from five to six homes per building. With that in mind, there are many desirable end units within the Kallisto Surrey townhouse community, making floorplans and spaces brighter with more windows and more views. All of the Lakewood Kallisto townhouses will have garages for 2 cars, either double or tandem. In addition, most of the units will have three bedrooms or two beds on the top floor, and others with basements that are fully finished and can be used as a separate bedroom, media room or recreation room. The open style kitchens present great spaces for entertaining, and the separate living rooms are a perfect place to enjoy television or to cuddle by the fireplace. All of the floor plans at the pre-construction South Surrey Kallisto townhomes also have ground floor patios off of the kithen/nooks, allowing you to enjoy the outdoors and expanding your living space. Many of the master ensuite bathrooms have separate showers from tubs, as well as double vanities. The master bedrooms have walk-in closets as per plan. The larger layouts also have ground floor powder rooms. There are four main categories of floor plans that have been released online at the new Surrey Kallisto townhouse community website. Coming soon, the new Kallisto Surrey townhomes for sale will feature a boutique selection of only seventy three townhouses with 2 and 3 bedroom floor plans. Homebuyers will also have the option of an alternative 4 bedroom floorplan if required. These South Surrey Kallisto townhomes for sale are located in the prestigious Grandview neighbourhood and will feature traditional interiors with crown mouldings, 9 foot ceilings throughout the main floor and open concept floor plans. Some of the interior features include granite, stainless steel, porcelain tiling and soft carpets. These pre-construction South Surrey townhomes at Kallisto will also feature HardiPlank exterior siding and the presentation centre is expected to launch April 10, 2010 at 3009 – 156 Street, South Surrey, BC. For more information about the new South Surrey homes for sale at Kallisto Townhomes, please visit www.kallistohomes.ca today. Thanks to all of you for your patience and continued interest in Kallisto South Surrey townhomes for sale. We are very happy to announce that our 3 elegant showhomes will be ready for your pre-viewing starting this weekend, April 3rd, with Grand Opening advertised to the general public on the 10th. Our open hours this weekend, (just for our South Surrey Kallisto townhouse pre-registrants) will be from noon until 5pm Saturday, Sunday and Monday, then daily thereafter, Fridays excepted. We look forward to showing you all our deluxe included features, and will have units in our first 3 Kallisto Surrey townhome buildings to offer for occupancy during the next 2-3 months. Although I will not have specific details regarding pricing until the weekend, there will be a very generous “early-bird” bonus to tell you about, and although there will likely be some little snags still to fine-tune, we want you to have the first opportunity to see and choose your future home here at the presale South Surrey Kallisto townhomes for sale! Regards, Arlene, Marketing Director at Kallisto Townhomes. 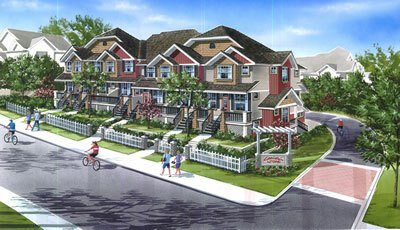 Kallisto Surrey Townhouse Grand Opening Weekend April 10 and 11! We are excited to remind you that this is the long-awaited Grand Opening Weekend at Kallisto Townhomes in the Surrey real estate market place. We have 3 lovely showhomes ready for your viewing pleasure and four spacious Surrey floorplans to choose from – many ready for occupancy by the end of June. Be amongst the first to choose your contemporary new Surrey Kallisto home. Join us for some refreshments and then combine it all with a shopping jaunt just blocks away. Have a great weekend and we look forward to meeting you in person! Contemporary Surrey Kallisto townhomes for sale – beyond expectations – Open 12-5 daily except Fridays at 3009 – 156th Street, Surrey. Thank you for your pre-registration at Kallisto townhomes at 3009 156th Street, South Surrey real estate market. This is a new 73 unit pre-construction Surrey townhome project in the heart of Grandview, South Surrey. This newest member of the Lakewood real estate development family is scheduled to have three showhomes ready for your viewing pleasure by late March 2010, with occupancy for our first group of South Surrey Kallisto townhomes scheduled to be ready by May/June of this year. We will have several new Kallisto Surrey townhome floorplans and exciting features to tell you about, and will be in touch with more details during the next few weeks. In the meantime, please refer to the South Surrey Kallisto townhome website for general information about the site and keep us in mind before making any major decisions! Regards, Arlene, Marketing Director, Kallisto Surrey Townhomes by Lakewood Homes at 604-538-8400. More information about the launch of presales here at the Kallisto Surrey townhouses will be coming shortly, as pre-construction sales launch is expected to begin in the spring of 2010. This boutique South Surrey real estate development is definitely a must-see for families, retirees and couples looking to upgrade from smaller condos, and not wanting the stress of maintaining a single family home. Great floorplan selection, open concept layouts, standard luxurious features and high-end appliances are just some of the selling points for this Surrey development. Watch out for the updates as they come online at the Kallisto Surrey townhome website, which will be published here. With the success of the recent grand opening, the South Surrey real estate development at Kallisto Townhomes by Lakewood Homes features amazing floor plans from two to four bedrooms plus all the lifestyle choices that you want in a neighbourhood. These contemporary townhomes all over one thousand square feet in size represent affordable South Surrey living that is so lacking in this up and coming community. Lakewood Homes presents the new South Surrey Kaillisto townhomes for sale, close to the downtown area and just as close to Morgan Creek. From recreation to beaches, entertainment to shopping, services to dining, everything is within a short walk or drive away from the new South Surrey townhomes at Kallisto and with the weather better than anywhere else in the Lower Mainland, why wouldn’t you consider moving here? Kallisto Townhomes are bright and spacious and some of the four floor plans near two thousand square feet in functional living space. In addition, the interior finishes of the Kallisto Surrey townhomes boast all the top quality hardwood laminate, crown moulding, baseboards, integrated flush mount microwaves, granite, ceramic tiled flooring and everything in between that new South Surrey home buyers look for in today’s market. As one of the very few new South Surrey townhome developments in the area, Kallisto by Lakewood Homes presents an affordable housing choice for families and couples who don’t want the hassle and upkeep of a single family home, and don’t desire to live in a tiny box. The new Kallisto Surrey townhome sales centre is now open on 156th Street.